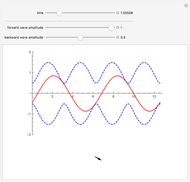 This Demonstration shows an interactive dynamic plot of the partial standing wave generated by two sinusoids of equal speed and frequency traveling in opposite directions. 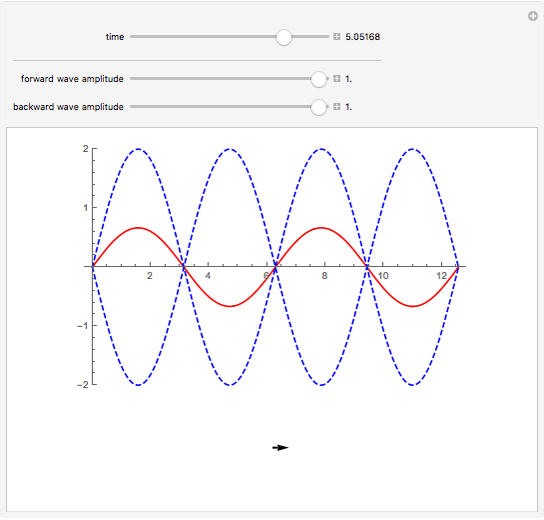 The forward and backward traveling waves are initialized to have amplitudes 1 and 0.5. 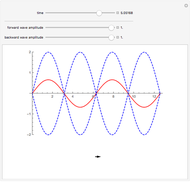 A full standing wave corresponds to the case where both amplitudes are equal. 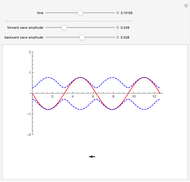 A regular traveling wave corresponds to the case where one amplitude is 0. 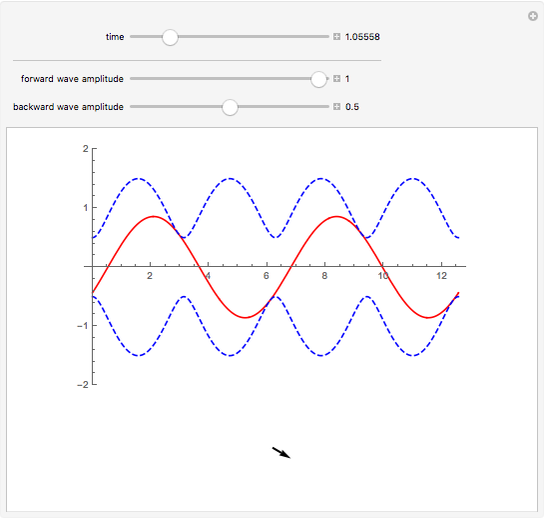 The dashed lines represent the envelope of the wave. The arrow represents the motion of the related phasor. 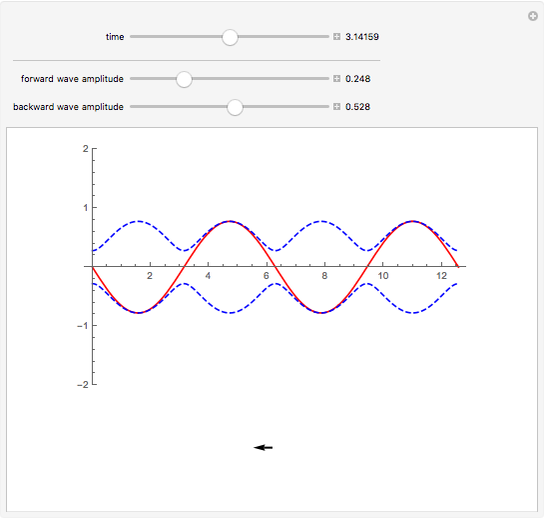 Justin Dove "Partial Standing Waves"